Lightfair is the premier event for lighting designers and architects. 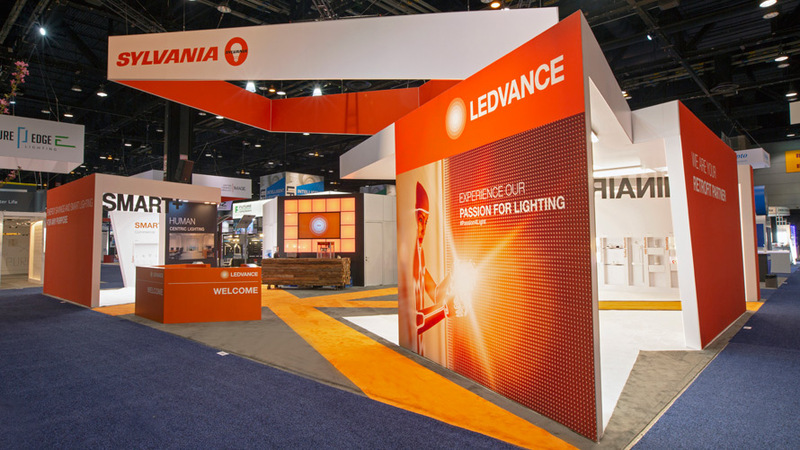 As the exhibit needed to match the look of the display created for Light & Build, Creatacor worked with LEDVANCE’s German design firm, Bach Mann Kern. Our challenge was to take their design and “Americanize” it for a show in Chicago. 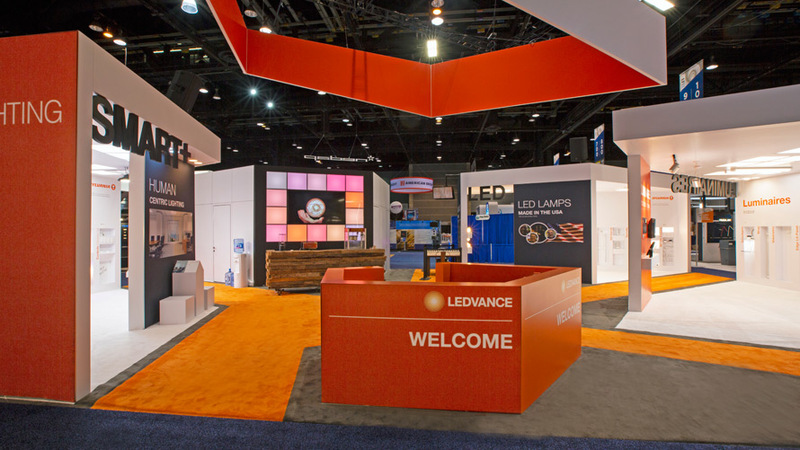 The 2400 square foot space featured a custom exhibit solution, utilizing lightweight materials, expansive tension fabric wall panels, large ceiling areas, and two meeting rooms. This created an open and inviting face-to-face marketing environment, complete with hundreds of unique lighting displays and products for interior applications in offices, retail spaces and healthcare facilities. To engage attendees and draw them to the exhibit, LEDVANCE stationed two artists within the space who could etch customized messages or names on A19 light bulbs. As it was close to Mother’s Day, “Love You Mom” was very popular. During their wait, visitors had an opportunity to get some coffee or receive some popcorn from the custom-built counter. The give away proved successful as over 2,300 bulbs were etched in total.